Do your clients have a true appreciation of the value of the IT support you provide? If they see the support service as a simple break-fix call-and-response, then perhaps not; because that’s only like calling on a plumber with the right tools to exercise certain skills. But there’s a lot more to IT support than being the just-in-time techy. And the more you explore that underlying value, the bigger the impact you may find it has, not just on support provision, but on your relative competitiveness in the market, on your investment decisions, and ultimately on your sales proposition. 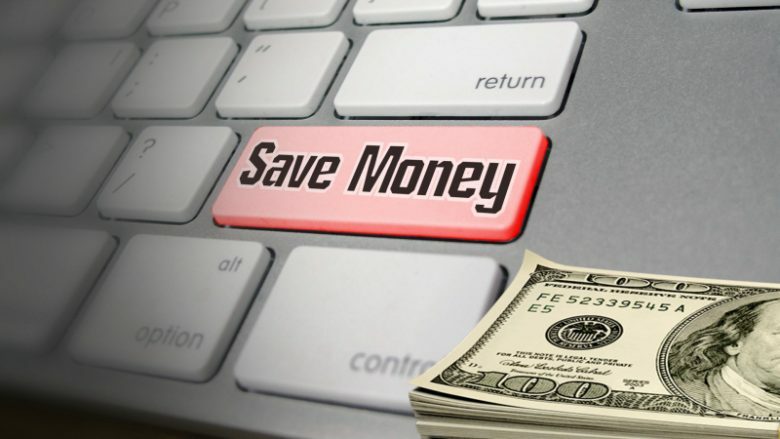 Here is how IT support saves money. There is another way of seeing user support, and that is through a cost-benefit analysis model, rather than as a simple cost-plus, service provision. It is seriously powerful – and the place to start is not at the service you provide to the client, but at what it means to them. Be aware though – even your client may not realise how much your service is worth to him, so you might have a bit of educating to do. What Support offers your client’s users is not merely a fix of a broken computer, or assistance over a knowledge hurdle, but – and here’s the thing – restoring user productivity when that productivity has been impeded by a failure in IT or its usage. It’s all about user productivity, lost by failed IT, restored or maximised by the slick competence of your techies. When we put user productivity on the negotiating table, the agenda changes. Now it’s not merely about what you charge for your services, but how much money your client saves or makes by minimising lost user-productivity. If your client’s employees cannot work due to computer problems, that ultimately eats into his business bottom line. The size of that financial damage may surprise you, and him. Warning – algorithm approaching. Calculators at the ready. Let’s take a hypothetical client of yours making £25 million a year in revenue (turnover). We use turnover because that’s how much money the company has to make to cover sales costs, on-costs, reinvestment, dividends, profit, and so on. That turnover is generated in effect by the aggregate efforts of all the company’s employees, from cleaner to CEO and all points in between. So given the number of employees – let’s say there are 100 – we divide turnover by effort to arrive at an average contribution per user. Divide that again by the number of hours worked and in this case we see an average employee hourly productivity of about £152 (£25m T/O ÷ (100 staff *1650 annual hours)). However, not all user support enquiries mean a complete loss of productivity, so we have to temper that with a ‘Computer Dependency Factor’. This accounts for support enquiries where the user can get on with something else (albeit perhaps less ‘productive’) while awaiting a fix. This is the bit your account manager can negotiate with the client, perhaps starting from the question “Expressed as a percentage, how dependent are your staff on the technology we support for you?” Come up with a figure – for purposes of illustration here, let’s say you get “40%”. Now it’s down to your techies and how quickly they resolve support enquiries. Let’s say the typical fix time is 8 hours, and the client calls support 100 times a year. So that’s £152 * 100 enquiries * 8 hours * 40%. A total potential user productivity loss to the client’s turnover of £48,640. But you won’t let that happen, will you? You’ll offer him your ‘Gold’ service of an average 2 hours resolution time. You’ll charge him say an extra £6,000 a year over the ‘standard’ service, giving him back user productivity to a value, by his figures, of £36,480. Hopefully, he’ll bite your hand off. Of course there are details to be worked out, but I’ll leave that to your Marketing Director. And beyond that, there’s the challenge of getting the techies to work at that speed, but don’t worry – that’s almost always a matter of better organisation rather than whip-cracking. As for the better organisation, I can show you how to do that in my support management training.